Bollywood actress Parineeti Chopra decided to take a break from work and visit Tennis player Sania Mira at her house in Dubai. The Golmaal Again actress has claimed to be promoted to Khaala (aunt) when she met Sania Mirza’s son Izhaan Mirza Malik. 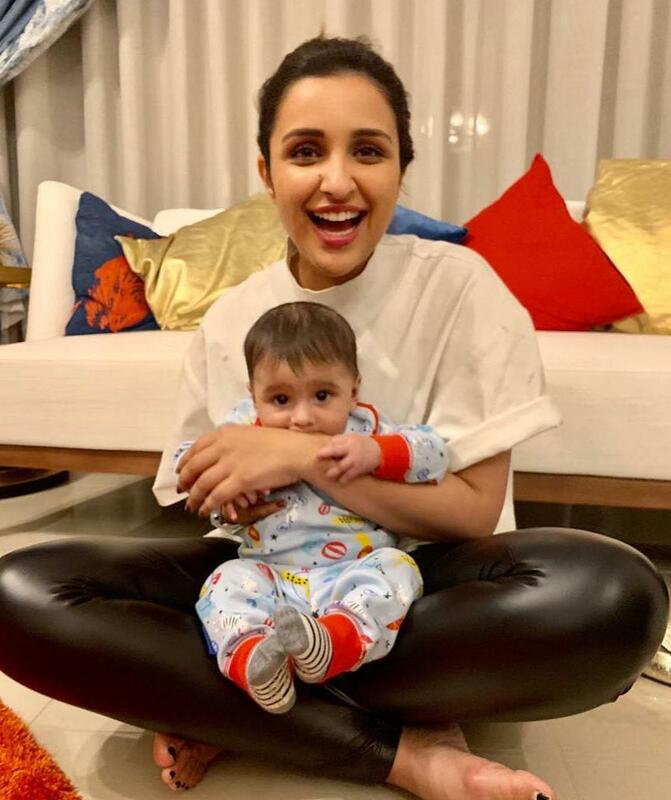 Parineeti treated her fans with an adorable picture of herself with the five month old boy. The little one can be seen adorably sitting on Parineeti’s lap while chewing her hand. Sania had announced her pregnancy in April 2018 and delivered a baby boy on October 30, 2018. The Tennis star got married to Pakistani cricketer Shoaib Malik in a traditional Hyderabadi Muslim wedding at the Taj Krishna Hotel in Hyderabad and was followed by a Pakistani wedding.